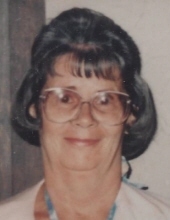 Elsie Joan Lafin, 88, a longtime resident of the Town of Hyde Park, died peacefully on January 26, 2019 with her family by her side. Born on February 10, 1930, she was the daughter of the late Charles Secor and Margretta Ethel Browne. Elsie graduated from the City of Poughkeepsie High School in 1948. She married the love of her life, Burton Samuel Lafin on July 18, 1948 at Christ Church in the City of Poughkeepsie. Together, they made Hyde Park their home and raised their three daughters. A quiet and gentle woman, Elsie was an avid reader, enjoyed crafting, and taking walks with her family at the Roosevelt and Vanderbilt National Parks. Survivors include her daughter, Cheryl O’Brien (Bill) of Dubois, WY; daughter, Michele Murray (Daniel)of Hyde Park, NY; granddaughter, Sarah Helene Baiano (Christopher)of Poughkeepsie, NY; granddaughter, Megan Hutchison (Joe) of Dubois, WY; grandson, Matthew Murray (Kathryn) of Hyde Park, NY; grandson, Michael Murray of Hyde Park, NY; great-grandson, Weston, of Dubois, WY; sister-in-law, Catherine Hensgen; niece, Lisa Schindler; nephew, Sherman Smith; and nephew, David Hensgen. Elsie was predeceased by her husband, Burt; daughter, Linda Sue Lafin; parents, Charles and Margretta Ethel; and sister, Patricia Ann Secor. Calling hours will be Tuesday, January 29th from 4:30 to 6:30 p.m. at Sweet’s Funeral Home, Rte. 9, Hyde Park. The Funeral Service will take place Wednesday, January, 30th at 10 a.m. at Sweets Funeral Home with burial to follow at the Union Cemetery in Hyde Park. In lieu of flowers, memorial donations may be made to St. Jude’s Research Hospital P.O. Box 1000, Dept. 142 Memphis TN 38148-0142. (www.stjude.org) or the Hudson Valley Hospice Foundation, 374 Violet Ave., Poughkeepsie, NY 12601. (www.hvhospice.org) To send an online condolence or for directions, please visit www.sweetsfuneralhome.com. To plant a tree in memory of Elsie Joan Lafin, please visit our Tribute Store. "Email Address" would like to share the life celebration of Elsie Joan Lafin. Click on the "link" to go to share a favorite memory or leave a condolence message for the family.